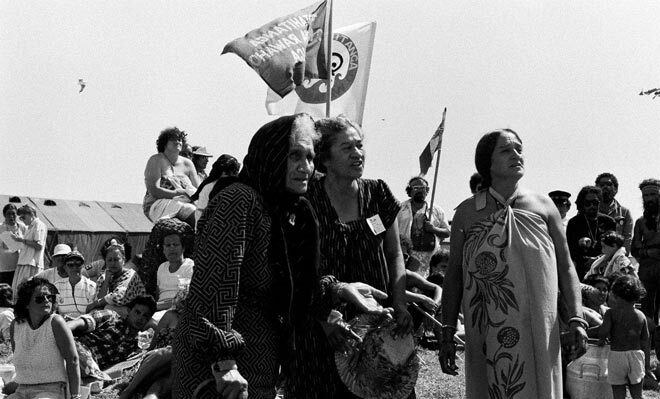 Whina Cooper, Eva Rickard and Titewhai Harawira stand together at Waitangi in 1985. All three women are well known for their activism on Māori issues. The previous year a hīkoi (march) to Waitangi had been led by Rickard and Harawira, but had been prevented from crossing the Waitangi bridge.